Manama: Bahrain has named Abdul Lateef Bin Rashid Al Zayani as the next secretary general of the Gulf Cooperation Council (GCC). The nomination announced late on Thursday evening is expected to put an end to a long and mostly silent dispute between Bahrain and Qatar over the issue which had threatened to mar their relations and undermine the six-member GCC alliance. “The decision to nominate Al Zayani came in response to a letter His Majesty King Hamad Bin Eisa Al Khalifa received from King Abdullah Bin Abdul Aziz Al Saud, the Custodian of the Two Holy Mosques,” Bahrain News Agency (BNA) said. “The letter was handed over by Prince Mitab Bin Abdullah Al Saud, Saudi National Guard deputy commander for executive affairs. Bahrain highly values King Abdullah's mediation and efforts to further enhance relations and strengthen mutual co-operation among GCC countries,” the news agency said. 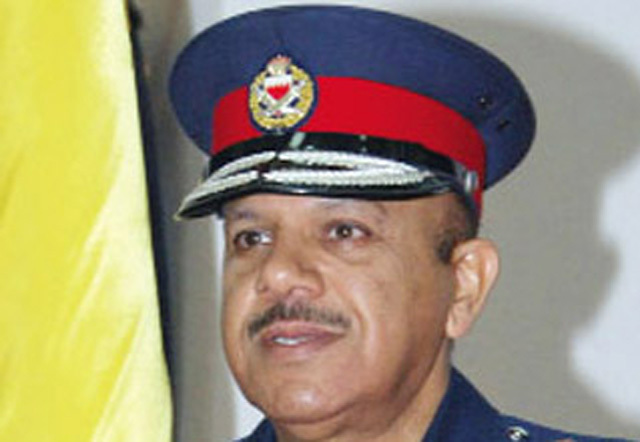 Al Zayani, a major general who heads Bahrain’s public security, is scheduled to succeed incumbent secretary general Abdul Rahman Al Atiyyah on April 1, 2011. His nomination will be officially confirmed at the next GCC summit in Abu Dhabi, the capital where the alliance was formed in 1981. Bahrain had initially selected Mohammad Al Mutawa, a former information minister and currently cultural adviser to the prime minister. The nomination announced officially last June was publicly endorsed by Kuwait, Oman, Saudi Arabia and the UAE. However, Qatar objected to the name on the grounds of Al Mutawa’s statements and positions during a bitter border dispute between Doha and Manama that was eventually settled by the International Court of Justice in March 2001. The GCC summit in Kuwait in December failed to reach an agreement on the issue with both Manama and Doha sticking to their stances. The two countries could not agree either on May 11 when the GCC leaders convened for their annual advisory summit in Riyadh. The standoff grew in intensity after Qatar refused to allow a Bahraini national wounded by Qatari coastguards to go home and insisted on his trial in Doha. The coastguards on May 8 shot Bahraini fisherman Adel Al Taweel whose boat had strayed, alongside six other ships, into Qatari waters. The Qataris said that the fisherman did not heed their warnings, forcing them to take action. Al Taweel, 37, was taken to a hospital in Doha. Bahrain, seeking to repatriate him, dispatched a medical team and an interior ministry delegation. However, Qatar snubbed them and insisted on putting the fisherman on trial. Bahrain’s interior ministry said that the Qataris should not have shot the fisherman and that that there were other ways to tackle the issue. On Sunday, the government called upon the Qatari authorities to release 107 fishermen who were detained for allegedly fishing illegally in Qatari waters. Shaikh Khalid Bin Ahmad Al Khalifa, Bahrain’s foreign minister, urged the GCC to adopt new measures that would ensure that the shooting incident would not be repeated. The tense situation was fuelled by a Bahraini decision to freeze the activities of Al Jazeera television channel in Bahrain, regarded by Qatar as one of its top achievements, on the grounds that it flouted professional conventions. Al Jazeera denied the charges. Speculations last week that Kuwait, the chair of the 2010 GCC sessions, would mediate between the two capitals were quickly rejected as “lacking credibility”. King Abdullah’s successful mediation came two days after he was able to repatriate Saudi nationals who had been detained by Qatar since 1996 in relation with a failed state coup. The former prisoners belonged to the powerful Al Murra tribe and were at the centre at a controversy over their nationality status amid claims that they carried the Saudi and Qatari citizenships. In December, and following the GCC Kuwait summit, a Saudi woman activist called for the naming of a woman as the next secretary general. Choosing a woman will be a political addition to the credit of the Gulf states and a new step towards reforms and the integration of women as partners in the decision-making process, she wrote in Al Riyadh daily.